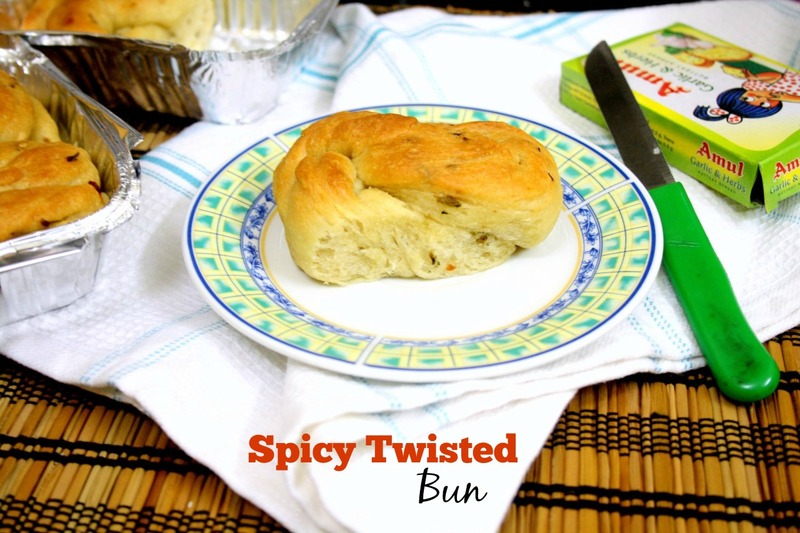 For the second day of week 1 BM#64, under Shaped Buns, I have a Spicy Twisted Bun as a choice. These make a great late breakfast or Brunch dish, not to mention these are great to carry for travel food. The whole dish came about when Hubby dear wanted me to bake him some savory buns for his dinner. He wanted to skip his regular dinner during travel and wanted to carry something light and nonmessy. I offered to bake some savory buns for him and made these delicious spicy buns and in the process wanted to make it all interesting by twisting it. Since I was packing him, I thought I might as well bake in the travel box. I made individual boxes in the end. 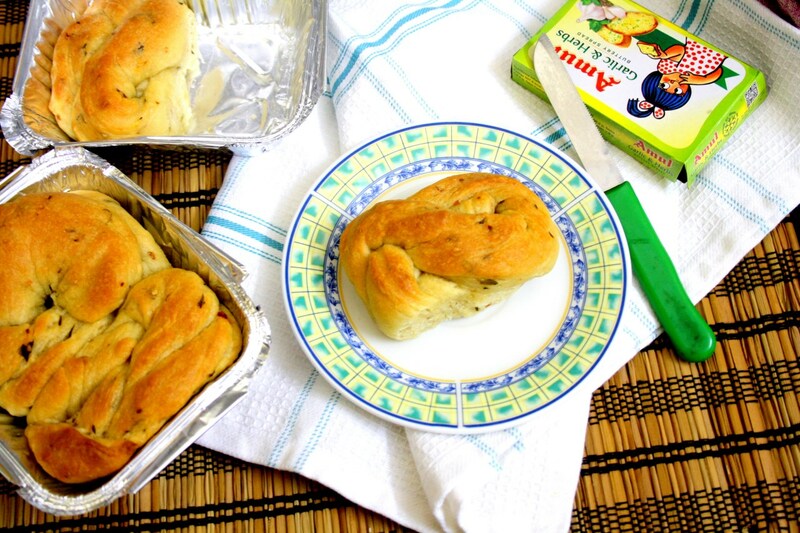 When Peddu saw these buns getting baked, he wanted his share for breakfast. I ended up packing individual boxes for each of them. On the whole, these spicy buns were so good! Hubby dear had this for his dinner while Peddu had this as his brunch the next day! I have always enjoyed all savory buns and these were no exception. These were so good when served warm with a slice of salted butter, it takes you straight to heaven while it settles on the sides. Jokes apart I would prefer these spicy ones to sweet buns anytime! 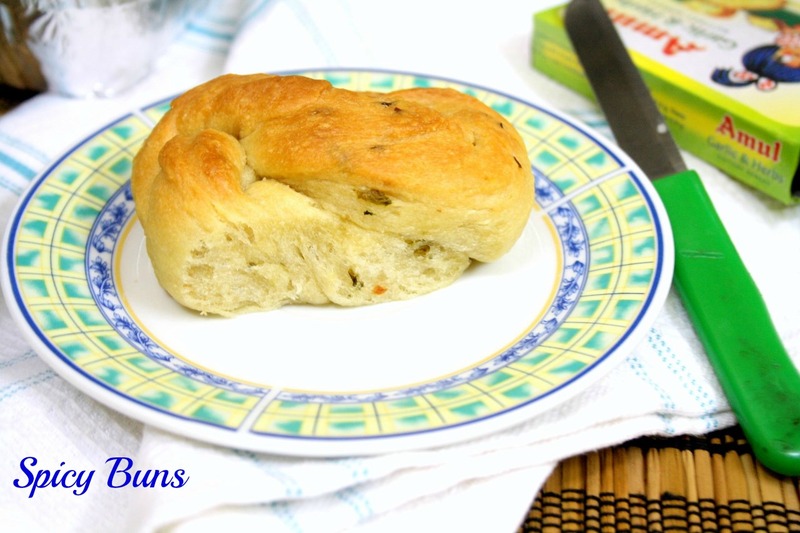 These remind of those spicy buns we used to get many years ago in Nilgiris. They no longer have it on their menu, I so miss it. Those buns were made of mint, coriander, and green chilies and used to be so spicy. Still you will end up enjoying it. While I enjoy thinking about those days, you enjoy this bun! In a wide bowl, take the flour, gluten, salt, sugar, olive oil and red chili flakes, chopped coriander leaves, curry leaves, and finely chopped green chilies. Mix everything well. Now add melted butter and mix well. Slowly add lukewarm water as required, start with 1/4 cup and increase as required. Knead for about 10 to 15 mins or in a food processor. Transfer to a counter top and knead till you feel the dough bounces back. Cove and let it rise to double. Takes about 45 to 60 mins. Once the dough becomes double its original size, punch it gently and again knead well. 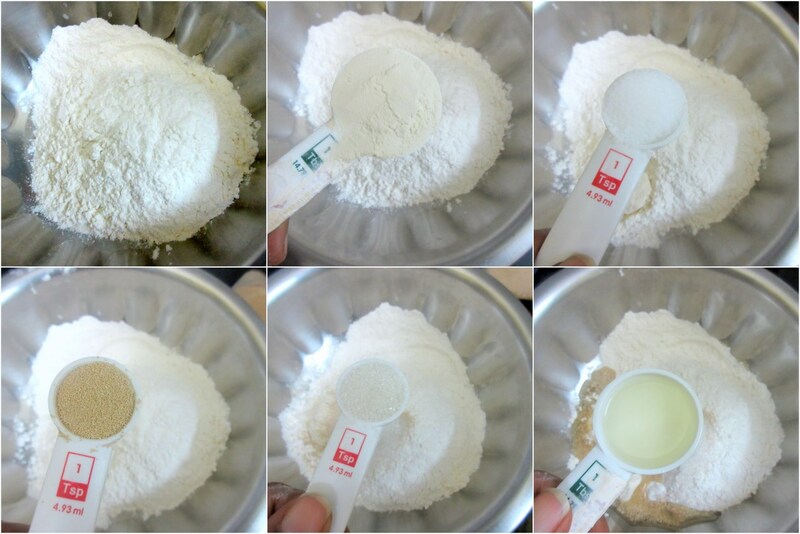 Dust with flour and roll to a circle of 1/2″ thickness. Cut into 1/2″ strips. Hold both the ends together and plait it into a rope and enclose the ends, tuck into it below. Place the tucked in ends down in the tray you are baking. Let it sit aside for another 30 mins. Pre heat the oven at 200 C. Bake the trays for 25 to 30 mins as requird. Mine was b6y 25 mins. Allow it rest and pack. Savory bread is such a treat. I like the masala ingredients you have added. Must have tasted great. 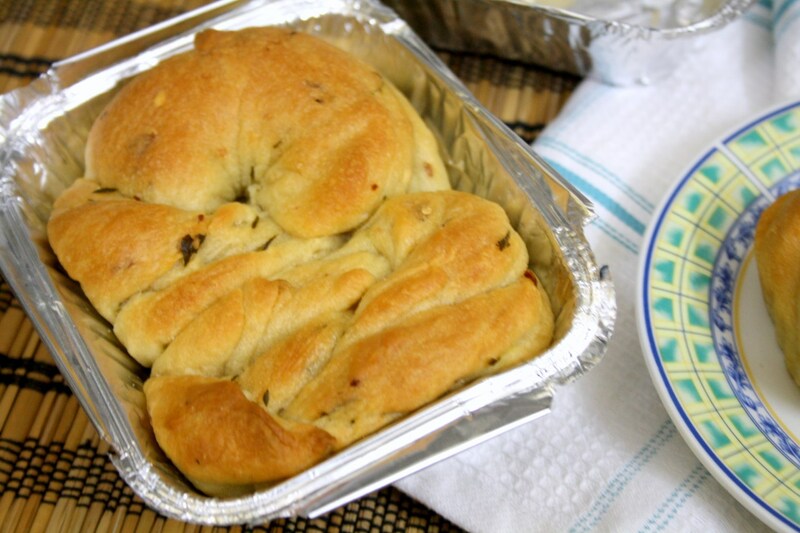 Packing in individual boxes is a cool idea and love the idea of savoury buns , they look so tempting . Nowadays even I prefer savoury over sweet breads. The idea of baking it in the foil pack is nice. 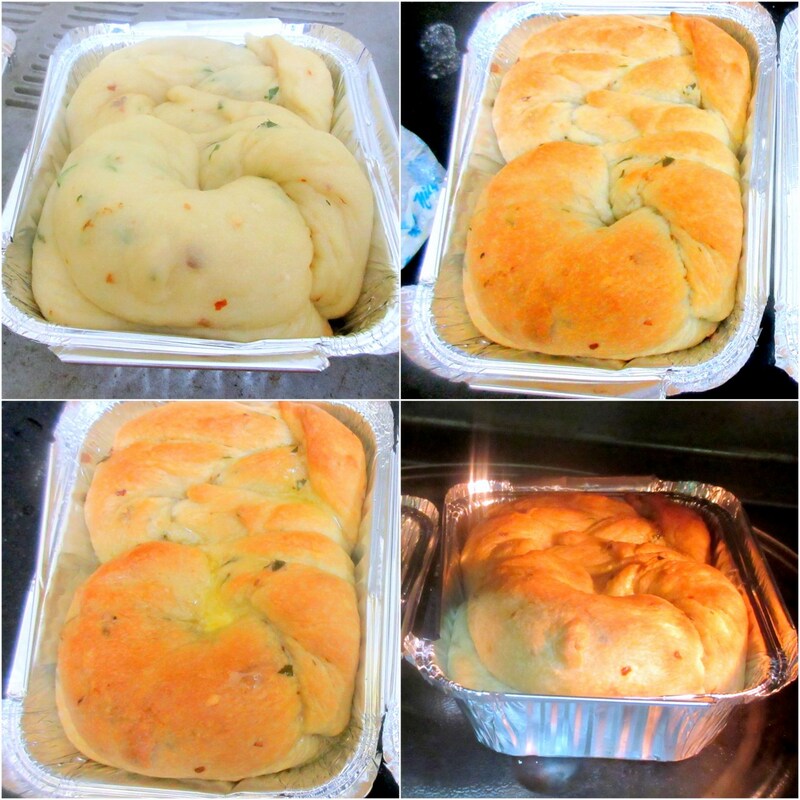 The rolls look so delicious and inviting..
Savory bread looks great.. Would like to taste.. Nicely blended with spices. Wow, those twisted buns looks alluring, prefect and looks super spongy..Well done Valli. Valli this is yum Ijust love you way of baking in the aluminium moulds. Going to use it. Those twisted buns looks so soft and yummy. Savory breads are a rage at home. It is just that I need to bake more often 🙂 This one seems like a very flavorful one. 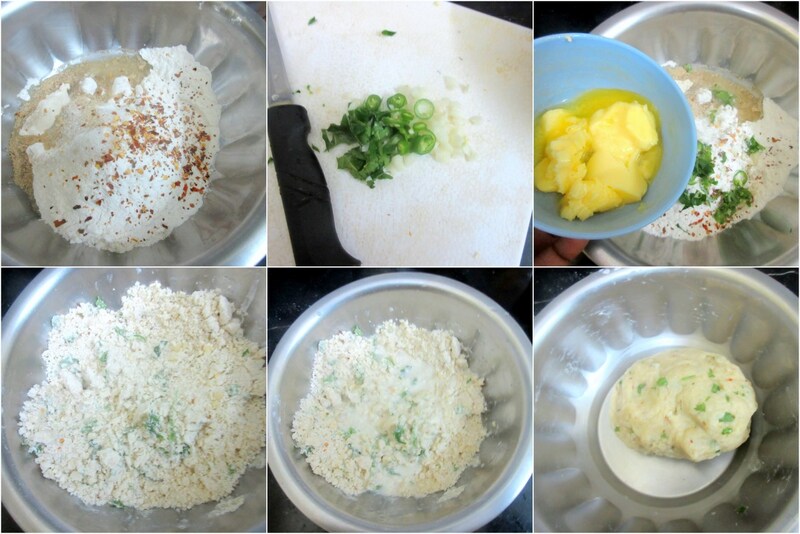 Thanks for the recipe, Srivalli. Gonna try during the weekend. 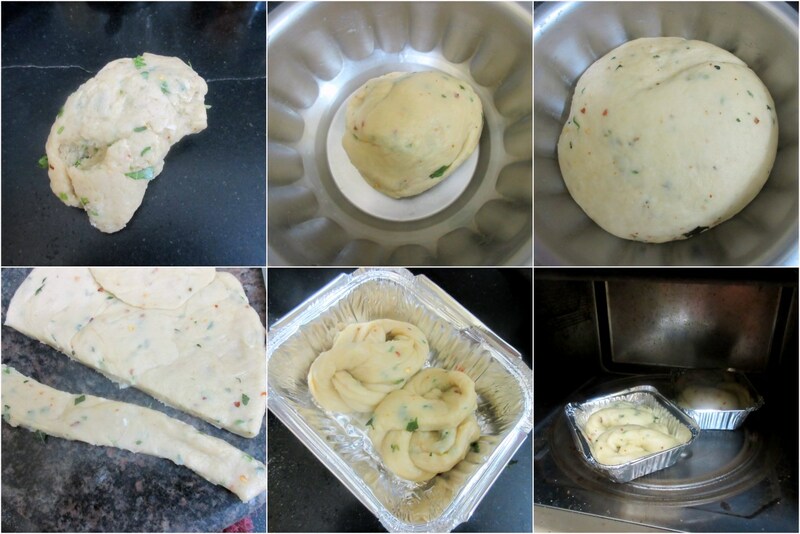 I remember the masala buns at Nilgiri's too. Hot Breads used to have a similar spiced loaf too. Dunno if they still sell those.